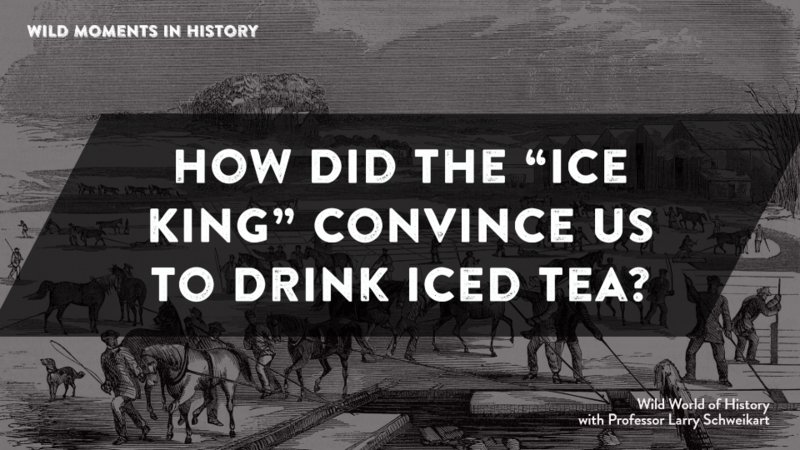 Did you know that the main reason that Americans put ice in their soda and tea is that a man called “The Ice King" convinced his customers back in the 1800s with a side by side comparison? Born to a wealthy family in Boston, Frederic Tudor turned down the opportunity to get a Harvard education and instead went into business at age 13. While visiting the Caribbean, he came up with the idea of shipping ice from his back yard there. With a small investment from a cousin, Tudor spent $10,000 to carve and ship 130 tons of ice to Martinique. While he was able to sell, he didn't sell as much as he wanted to sell. He realized that people simply were not used to drinking iced drinks. He would have to market ice. Meanwhile, about $4,000 of his ice inventory melted away. On his way back to the U.S., he stopped in Cuba and negotiated more contracts. Though he verged on bankruptcy twice—once hiding on a family farm while creditors searched for him—Tudor went back to work, this time in the American south, where he traveled through states, demonstrating the value of ice packs to doctors and staging side-by-side comparisons of warm and cold drinks. In the process, he discerned that iced tea would be his best product. Identifying a prominent bar, he provided the owner with free ice for a year to promote his product. By the 1820s, Tudor annually was shipping 2,000 tons of ice from the Boston area (some two-thirds of all ice shipped). He knew competition would catch up, so he constantly reinvested, improving the harvesting, storage, and delivery of his ice. Testing his methods in Havana, Tudor built above-ground insulated sheds, experimented with various products such as sheepskins and wood shavings to maintain cold temperatures, and enlisted a hotel owner, Nathaniel Wyeth—who wanted ice at his hotels in the South—to help. Wyeth invented an ice cutting machine in 1825. Tudor obtained the patent in return for giving Wyeth the manager’s position in Tudor’s ice company. By the 1830s, Tudor’s markets reached as far as Calcutta, India and the Middle East. He constructed ice depots, educated local residents as to the manufacture of small refrigerators, and continued to harvest ice. Tudor’s frozen product accounted for much of the 65,000 tons of ice coming out of Boston each year. For further reading, see Larry Schweikart, The Entrepreneurial Adventure.